Do you suffer from low moods and upsetting thoughts? Are you exhausted by anxiety? Are you in an unhappy relationship? At Face to Face Therapia, our dedicated team of English-speaking psychologists offer thoughtful, expert, affordable psychotherapy for all kinds of emotional distress. 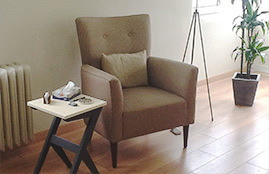 Our psychotherapy centre is based in Levent, Istanbul, and therapy is available in person or online. As well as individual counselling and psychotherapy, we provide family therapy, couples therapy, and child & adolescent therapy. We specialise in psychoanalytic and psychodynamic therapies because we know they offer real, lasting results. When we're unhappy, we often feel confused and 'stuck'. Our aim is to help you unravel the reasons for your distress, and to free you from destructive patterns of thought and behaviour. One way we do this is by helping you to become more aware of yourself, your relationships, and the way you see the world. Whether you're struggling with depression, anxiety, long-term stress, or have recently experienced what you think may be a panic attack, we can help. We also offer specialised treatment programmes for problems including sexual dysfunction, alcohol and drug addiction, and post-traumatic stres. Many people experience relationship problems, and we're especially proud of the work we do with couples. By using a psychodynamic approach, we help partners and spouses get to the root of problems swiftly. To find out more about couples therapy and all our other talking treatments, please visit our therapies page. Melike Kayhan founded Face to Face Therapia in 2013. Prior to this she practised as a psychotherapist and psychoanalyst in Hampstead, London for many years. She treats a wide range of psychological problems and specialises in helping families, and partners, in distress. Ece Ucar Seren is an english speaking clinical psychologist who provides counselling services to numerous schools in Istanbul, and does exceptional work with children experiencing difficulties. Bruce Scott is our dedicated e-therapist and Özen Bagabaslioglu provides low-cost therapy to those in difficult circumstances. More information about the team and their specialisms can be found here. We know it can take courage to seek help when you're unhappy. Even though most of us wouldn't hesitate to visit our doctor for a troubling physical condition, we often think we have to 'solve' emotional issues on our own. This is why we practise in a building that's light, airy and welcoming. This is why we avoid jargon, and cover topics we hope will be interesting as well as helpful, such as why we have extramarital affairs. This is why we work long hours - from 10am till 9pm from Monday to Saturday - and why we'll always aim to see you within a week of contacting us. Basically, we care about what we do, and we hope it shows. Çayır Çimen Sokak Emlak Kredi Bankası Blokları C-3 No:9/11 Levent / İstanbul. We are located across Kanyon Shopping Centre; closest metro station is Levent. Why do we have affairs? It's ever so easy to feel alone with our thoughts and feelings. Group Therapy reminds us that we're not. To find out more, please contact us . "Melike helped me feel supported and understood, which I really needed. Over time, therapy also helped trigger a profound shift in the way I think about everything. It's changed my relationship with anxiety - and my life."